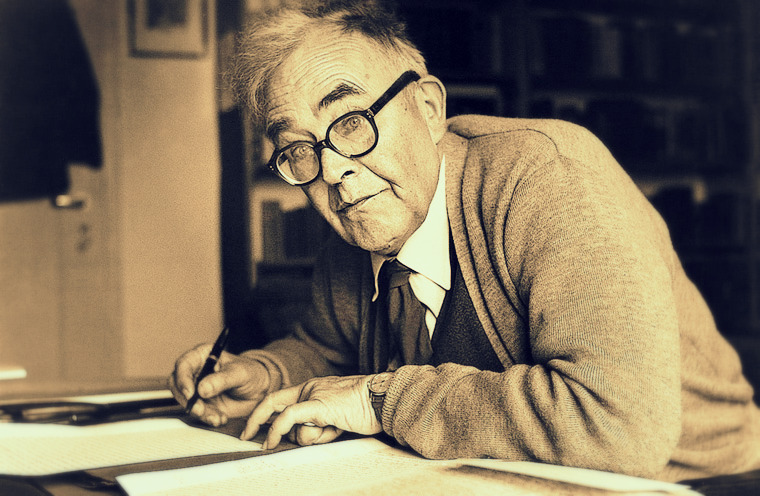 When looking through old seminary research, I ran across some quotes I pulled out from Karl Barth, my favorite theologian (hands down), and got to soak in the beauty of his words. I wanted to share them. Now, for people that don’t read academic theology, this is it. It’s circular, it repeats itself, and it’s unnecessarily complicated and unclear. I know. I get that. But I promise, if you can spend a few minutes, quiet yourself, and focus, the pay-off is huge. This guy stands as a tower over all of modern theology and deserves more mainstream attention than he gets. I’ve done slight edits to some of the wording and paragraph breaks for clarity. Enjoy. God’s direction is an all-powerful decision, His own divine act of lordship. By this means, too, God vindicates His honor and maintains His glory. By this means, too, He exercises authority…. God’s direction is the directing of humans into the freedom of His children. It is this which has taken place in Jesus Christ no less uniquely than the once-for-all fulfillment of the divine sentence on all humanity. In suffering in our stead the death of the old nature, and bringing in by His resurrection the life of the new, He has made room for the being of all humanity to be at peace with God. On the basis of what we are and is not by virtue of the divine sentence passed and revealed in Jesus Christ… we have no other place but this—the kingdom in which God can be at peace with us and us at peace with God. Jesus Christ…is the all-powerful direction of God to us to occupy this place, to live in this kingdom. If we are told in Him who we are and are not, we are also told in Him where we belong, where we have to be and live. You may ask: are we only told to join this Kingdom? Only directed? Only informed? Is it only an invitation or a demand to enter? Jesus Christ is God’s mighty command to open our eyes and to realize that this place is all around us, that we are already in this kingdom, that we have no alternative but to adjust ourselves to it, that we have our being and continuance here and nowhere else. In Him we are already there, we already belong to it. To enter at His command is to realize that in Him we are already inside. To follow His invitation and demand is to find ourselves in the situation already created in Him and in Him already our own situation. That is humanity’s reconciliation with God in the form of the issuing and receiving of the divine direction. That is why we use the word “direction”–we might almost say the “advice” or “hint”. It is not a loud and stern and foreign thing, but the quiet and gentle and intimate awakening of children in the Father’s house to life in that house. That is how God exercises authority. All divine authority has ultimately and basically this character. At its heart all God’s ruling and ordering and demanding is like this. But it is in the direction given and revealed in Jesus Christ that the character of the divine authority and lordship is unmistakably perceived. And what is this place and kingdom in which God’s direction summons man to awaken and remain and act? We have already mentioned the decisive concept: it is a matter of humanity’s direction into the freedom for which they are made free in Jesus Christ, in peace with God. It is the place and kingdom which already surrounds us, in which we are already placed, in which we have only to find ourselves. God’s direction is the direction to do this, to make use of his freedom…. The kingdom of freedom is not one in which humans can act as lord. It is not for us to try and act in it according to our own judgment. Because if we did, we would certainly not be free any longer, for we would secretly have left that place of the kingdom. Freedom means being in spontaneous–and therefore willing–agreement with the sovereign freedom of God. And because it is in Him that we are really free, He is Himself our direction, our guiding into freedom, our awakening to life in that freedom, our guidance to make use of it, our Lord and King, and therefore in this sense too our reconciliation with God, the One who fulfills our conversion to Him. In Christian ethics…the atonement made in Jesus Christ cannot simply be a presupposition which has been left far behind. Ethics, too, must testify directly to the atonement which we ourselves does not make, but which God has made in us as His own work, by giving us direction in Jesus Christ. As Christian faith is the human response to God’s justifying sentence, so Christian love is the human response to His direction. In accordance with what He did and revealed in Jesus Christ, God willed from all eternity not to be without humanity. And now, recognizing this will of God, humanity wills not to be without God. Their activity is therefore characterized by the will to seek God and find Him, that is, to enquire concerning His commandment, to to be guided by His decisions and attitudes, and to follow His direction. The direction of God willingly followed in the power of the Holy Spirit is the life-principle of the Christian Church.